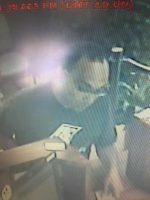 Police report that at about 3 p.m. Tuesday (Jan 3) a local-looking man robbed the American Savings Bank in Kealakekua, Kona. 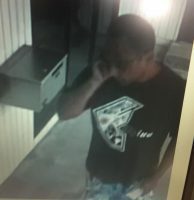 The man is said to be local-looking, possibly in his 30s, short hair, was barefoot wearing a flower type blue shorts, dark blue shirt with a triangle white type emblem on the front. He was seen walking in the direction of the Kealakekua McDonalds. Anyone with information can call police at 9-1-1.